The Rt. Rev. 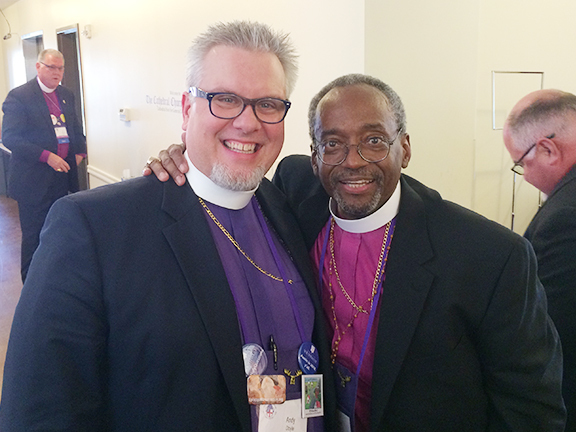 Michael B. Curry, Bishop of the Episcopal Diocese of North Carolina, interviews the Rt. Rev. Andy Doyle, Bishop of the Episcopal Diocese of Texas, about his diocese's innovative new push to invite people to bring people to the church and about the bishop's two new books. Thanks to the Rt. Rev. Brian Seage, Bishop of the Episcopal Diocese of Mississippi, for filming the interview. Invite. Welcome. Connect. from The Episcopal Diocese of NC on Vimeo.